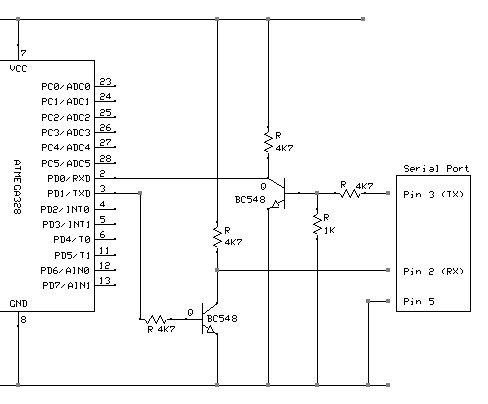 And below is the schematic for this circuit. You can program the processor directly from the Arduino IDE. All you need is a TTL serial connection. 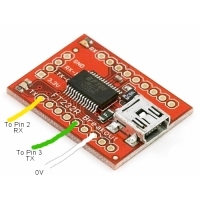 The FT232RL USB to Serial breakout board is ideal for this. Now that we are using the modified Arduino UNO bootloader, we have also included a 0.1uF capacitor in the kit which allows for the auto-reset functionality of the UNO boards. This capacitor goes between the DTR pin on the FT232RL USB to Serial board and the Reset pin on the ATmega328. 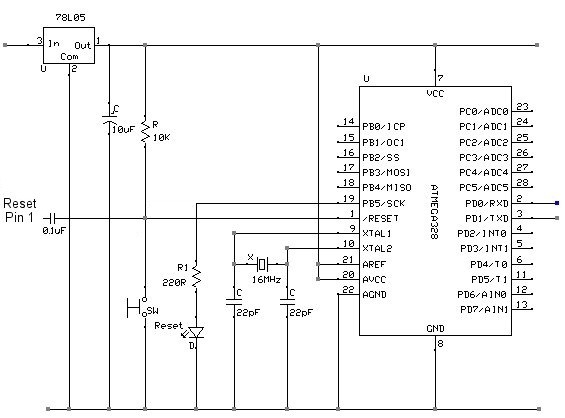 If you have a PC Serial Port (or USB to serial port cable) you can use this directly without the need for the breakout board with the addition of two transistors and a few resistors with the following modification. 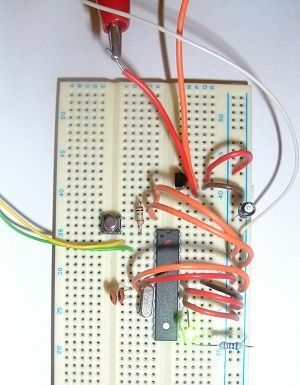 Once you have your serial connection setup you can program the ATmega328 directly from the Arduino IDE. Next, press the upload button in the Arduino IDE, and wait until you get the successfully compiled message (below). As soon as the message appears, press the reset button on your board to force the bootloader to reset.